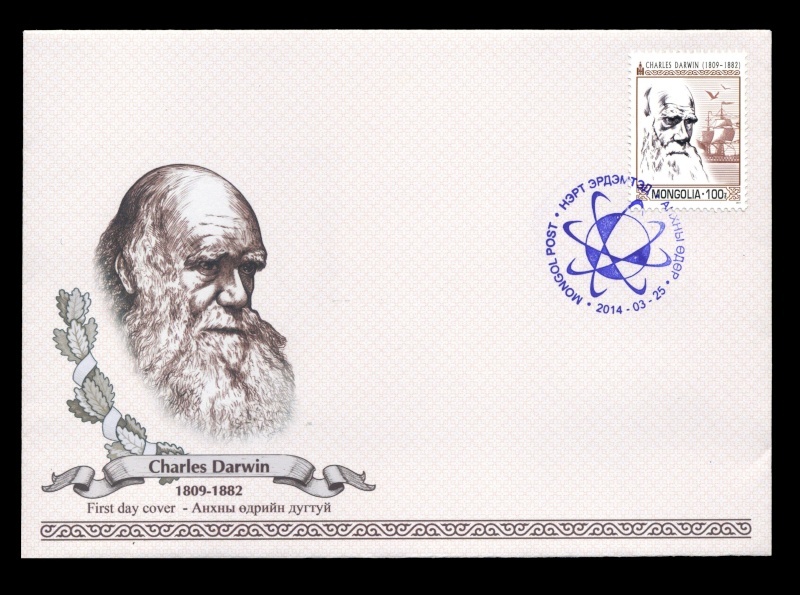 1959 was the 150th anniversary of Darwin's birth. Here is a Romanian stamp issued that year. 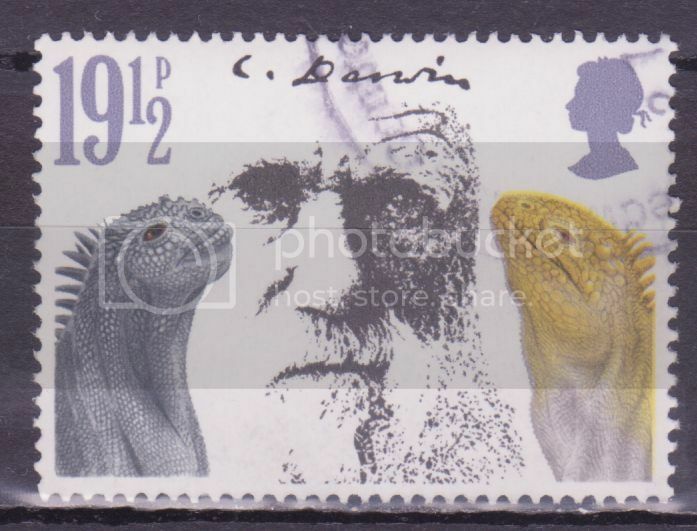 In 1982 GB issued a set of stamps for Darwin's death centenary. 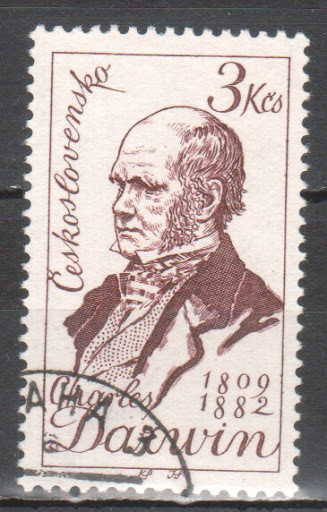 Here is one of the stamps, SG 651, showing him with marine iguanas. 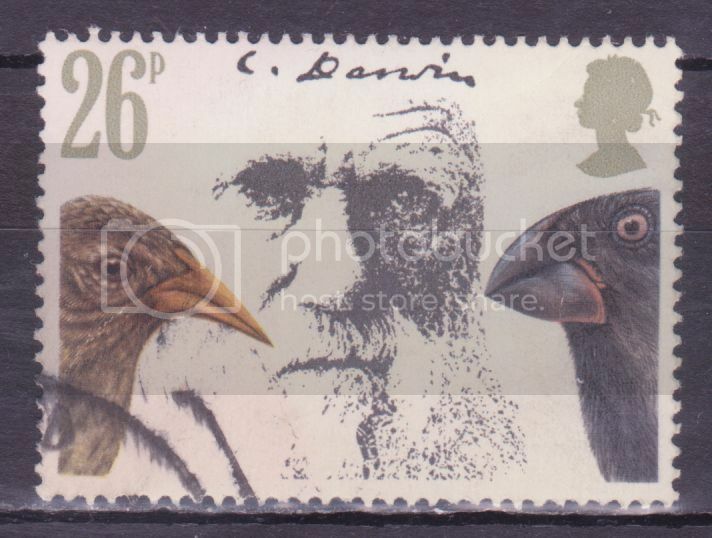 Another stamp from the 1982 GB set for Darwin's death centenary, SG 652, this time showing him with 2 species of Darwin's finches. These birds were (and probably still are) routinely used in textbooks on evolution, as examples of birds radiating into different species with different ecological niches. It was finding these birds on the Galapagos Islands that helped to propel Darwin to elaborate his theory of evolution - though undeveloped concepts of evolution were very much in the scientific air from the end of the 18th century. 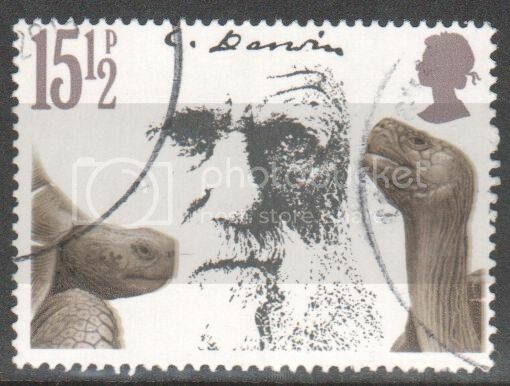 Another stamp from the GB 1982 Darwin set, SG 1172, showing Galapagos tortoises, the largest living species of tortoise. 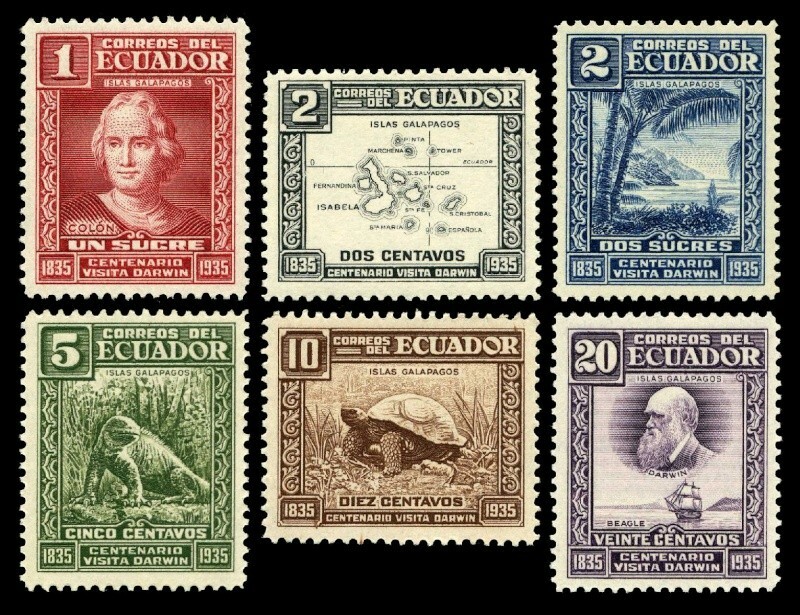 Since 1936 when the first stamp depicted Charles Darwin is issued by Ecuador, in order to commemorate 100 anniversary since his visit on Galapagos Islands, many other post stamps are issued around the world. 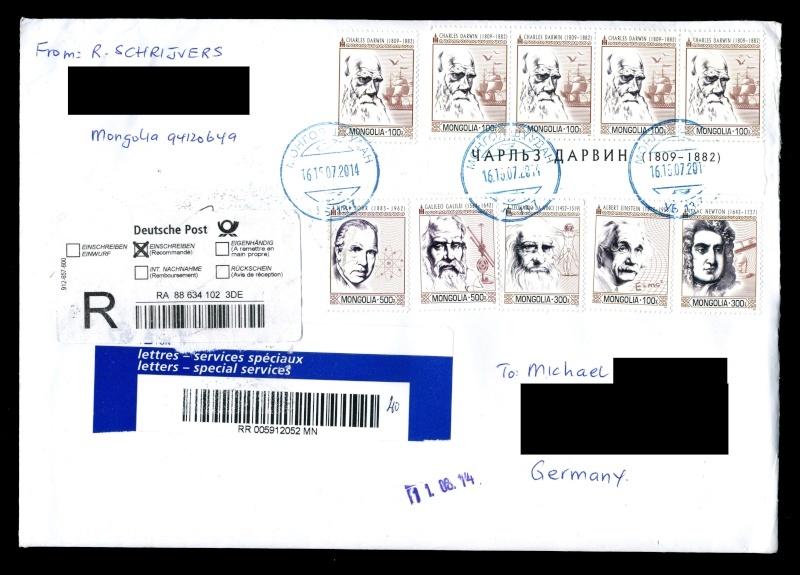 Let's show here our stamps and covers related to the great scientists. P.S. 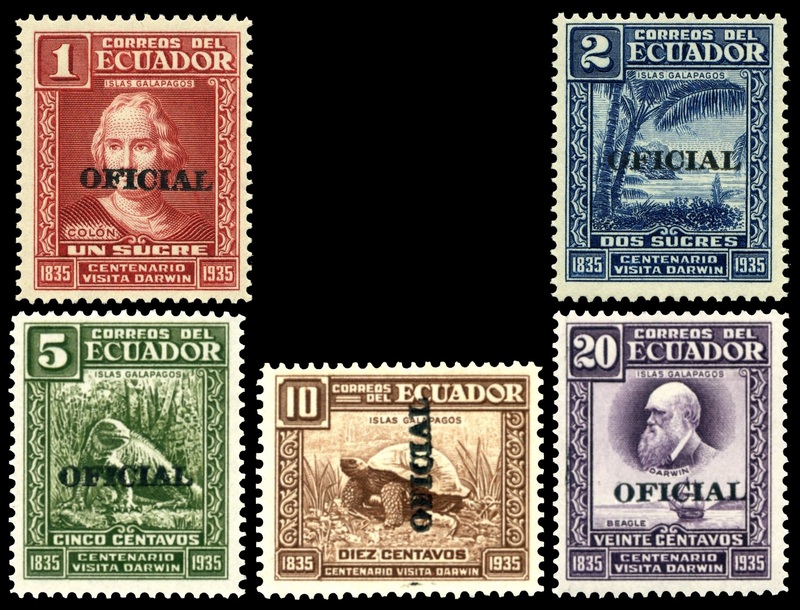 so far I have 3 stamps from the second row only, two others are wanted.